Muayad Ahmed Muayad Ahmed is an Iraqi revolutionary socialist, and former secretary of the Worker-communist Party of Iraq. He and other activists recently parted ways from the WCPI. On a visit to London, Muayad spoke to Solidarity about what they are doing. We have formed a new organisation, called the Organisation of the Communist Alternative in Iraq, OCAI. In July we issued a founding statement, in which our main programmatic aims and tasks are formulated in 34 clauses. The document will be available in English shortly. We stressed that we get back to Marx and the Communist Manifesto, to the idea of the overthrow of the state through socialist revolution. Socialism is the proletarian answer to all the miseries, war, and terror that today s imperialist capitalism has brought upon us in Iraq and the Middle East. Socialism is the answer to the organised robbery of the wealth of the society and the destruction of the economic lives of millions of people in Iraq by neoliberal capitalism. Iraq is a capitalist society. The working class and the bourgeoisie are the two main antagonistic classes. The political regime in Iraq is a reactionary bourgeois ethno-sectarian regime run by political Islam and nationalists parties and their militia forces. Iraq has also become the centre of conflicts between imperialist blocs, their regional allies, and those have transformed Iraq into misery, especially since 1991. The only alternative is to raise the banner of socialism. All over the world, we are at the end of a process of differentiation in communist movement, of drawing a line between genuine communism and the bourgeois communism linked to the Soviet Union, to China, or to various forms of populist-nationalist trends. The Communist movement in Iraq entered that differentiation process mainly in the 1980s, distancing itself from bourgeois trends which disguised itself in the name of communism. The revolutionary Marxist trends worldwide had already paved the way for that to happen in Iraq . Our statement refers to Mansoor Hekmat [1951-2002]. He played an effective role in drawing that line especially with regard to the "third world" type of communism and populist-nationalist trends. But we don t believe in "Hekmatism". We held our first congress on 17-19 September 2018 in Baghdad, with about 36 members present. A couple of dozens of other members could not attend for practical reasons. Many socialists, worker, women and youth activists were invited to attend the congress and 12 of them were present. Back in July we had named six comrades as the founding members of the organisation. 16 others signed up for it. The Congress got an immediate good level of publicity via social media in the ranks of the socialists. We got attention from many members of the Iraqi Communist Party across all of Iraq who opposed the CP s alliance with the Sadr movement [Shia Islamists], and some attended. When asked why we resigned from the WCPI, we say that the immediate reason was the exclusion of comrade Falah Alwan, but there is a long history of internal party struggle behind it. The congress covered a number of topics , the history of the communist movement in Iraq and its present challenges and perspectives, the working class movement , the women s struggle, the political situation in Iraq and Kurdistan, the demonstrations and organisational issues. At the congress I spoke on the history of the communist movement in Iraq. The Iraqi Communist Party was founded only in 1934, in the Stalinist era. But before that Hussein El-Rahal and his comrades were active in the 1920s and formed their socialist circles in 1924 in Baghdad. They had had contact with Rosa Luxemburg s group in Germany. There was also Jamal Airfan, active in Kurdistan in the 1920s until he was killed by reactionaries. They were Bolsheviks. Communist politics starts with them. There s a history, an international history. The Trotskyist criticism of Stalinism was weak in Iraq, but there were weak groups developing that criticism at the end of 1970s in Kurdistan. In 1985 a group including myself established an organisation called Communist Current. 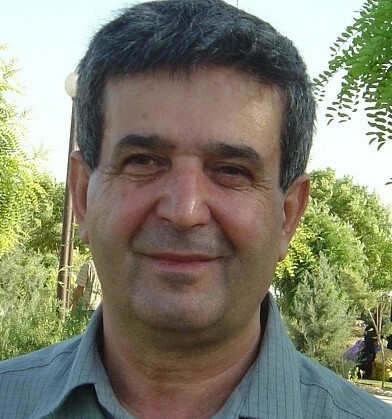 It was active mainly in Kurdistan, but it had some members elsewhere in Iraq, such as Falah Alwan. We benefited from the criticisms developed by Mansoor Hekmat. We and three other groups founded the Worker-communist Party of Iraq. But now it is a new era. This era demands an active communist organisation that works on founding a strong Marxist current in society, linked to the ongoing struggle of millions of workers and toilers all over Iraq. In Basra we have links with a group of activists for racial equality. Iraq has about half a million black people, descended from the slave trade over centuries, and they are still discriminated against. One of our leading members, Haider el Jasim, made a presentation to the congress about the street protests in Basra which started in July. The unemployed union of Basra initiated the protests. They became larger and drew in lots of young people. It was a sort of social explosion. The movement was not actively supported by the main trade unions, but it was aimed against all the Islamist parties. It was not really organised, but we argued for it to get organised. The Basra protests were part of the anger and frustration of the majority of residents of the city against the current regime and its Islamic forces and their corruption. The first issue of our newspaper, el-Ghad el-Ishtraki (Tomorrow s Socialism), came out on 17 October, and it will be monthly. We have comrades in Baghdad, Basra, Samara, Dewania, Sulaimaniya, and Shamia. We are in the process of building the organisation in other cities. We have some cadres abroad in Switzerland, Britain, Norway, Finland, Germany and Canada. Our main political slogans? They are not formulated yet. But the main idea is socialism. And internationalism. We consider Trotskyism as a revolutionary Marxist trend which played an important role in exposing Stalinism. We believe the trade union movement in Iraq can be restored. For now the trade union movement in Iraq has become an arena for various international and regional bourgeois forces to intervene, each trying to have its own trade union organisation empty of content. The Sadrists now control the General Federation of Workers� Trade Union in Iraq and the Communist Party has strong links with the General Federation. Other federations, like the Federation of Workers Councils and Unions in Iraq (FWCUI) and the General Federation of Employees Trade Union in Iraq are present. All the trade unions are weak and they don t have strong links with the workers. But a working-class agenda is defended mainly by the FWCUI, and that fact has not been recognised by the WCPI. The trade union movement cannot be revived without a genuine socialist movement. Our concentration on this is in Basra, because Basra is a very industrialised city, with the port, oil, and so on.